Renovating a kitchen is a huge project that requires proper planning. When it comes to making magic happen, there are a lot of variables to consider. This means that there is a lot that could go wrong. So, before you take a sledgehammer and start breaking down walls, it’s important to take a good look at your plan. Is it realistic? Do you have enough leeway in your budget to achieve both your needs and wants? What are the items that you can get rid of? To help you jumpstart the process, here are five things we recommend you accomplish before starting your kitchen renovation. Not surprisingly, we believe you should hire a design-build firm. In fact, we can even offer recommendations along that line. Regardless of your approach to your project, we believe it’s imperative that you involve other people to get a broader, more informed perspective. But remember; even if you’re using professional help, you must still provide your own input. Your kitchen must work for you, which means you have to be involved. 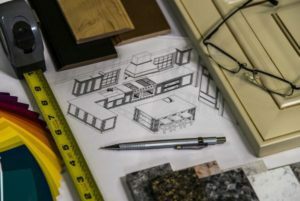 There is much to be gained from experienced professionals but, even if you don’t go that route, at least try to engage with others who have recently been through a kitchen remodel to benefit from their experience. 2. Figure out how much time you need for the project. There are really only two projects: design and construction. It’s important to allow enough time for both but, unfortunately, most homeowners end up underestimating the duration of each phase. We recommend allowing leeway for incubation time during the design phase. This is essentially a period of time to ruminate over your ideas and choices. Set your design aside for a few days and try not to think about it too hard. Chances are, you’ll get hit with a bolt of fresh inspiration after a while—an idea that’ll transform your design from good to great. Setting time aside to really process your kitchen remodel rather than just mulling over it will result in a better plan overall. This is why incubation time is extremely important. Once you have a full design—including selections—then you can move on to creating a construction schedule. Include everything that needs to be done and come up with a rough time estimate for each. And then add at least 25% of that timeframe to that timeframe. Is there a deadline—some sort of event that the remodel needs to be completed by? If so, you’ll want to work backwards, starting with your end date, to see when your actual start date should ideally be. If there is no deadline, then you can simply work forward with your schedule. For anything that you’re trying to do yourself, we recommend that you at least double the time you think it’ll take. Speaking from experience, it is not uncommon for us—as a design-build company—to be asked to pick up projects that had previously been abandoned for years. 3. Leave some leeway for the unexpected. Regarding your timeline, don’t forget to give you and your contractor a bit of wiggle room. No matter how meticulously you plan your remodel, there are variables in renovation that will always be beyond our control. It isn’t uncommon to come across something that couldn’t have been anticipated. This includes things like rot or unexpected piping in the walls. Remember to leave room for the unexpected and scheduling adjustments when designing your kitchen remodeling schedule. The smallest adjustment in the project schedule can trigger disruption for the entire thing. For instance, if you add something to the plumber’s schedule that will keep them on the job for an extra day, everyone gets affected. Let’s say that addition should ideally only throw the electrician’s schedule off by a day. However, that one-day delay has also forced the entire crew to postpone by their schedule by another day or two because the plumber and electrician aren’t done. By that time, the AC guy is going to have to push his HSVR back a week just to accommodate the extra days of the whole team. You can see why construction schedules are so difficult to maintain. If your budget does not allow you to make your dream kitchen a reality in one shot, there’s no need to compromise. Instead, do it in phases. Start with the areas you absolutely need to complete immediately. For instance, you’ll usually need your countertops, cabinets, infrastructure, layout, and wiring right away. The little add-ons, however, like appliance upgrades, new tiles, expensive faucets, and fancy light fixtures can afford to be pushed to a later date. 5. Create a temporary kitchen. While your main kitchen is under renovation, make sure to set up a temporary kitchen in another part of your home. This is where you’ll wash dishes and prepare meals for the time being. Having a kitchen remodel doesn’t have to be an excuse to start eating out or ordering in all the time, and you’ll be happy for this temporary space when you need your 7AM morning coffee. You don’t need a fancy set-up. You just need a countertop or two, a small cooking surface (electric or camping will work fine), a refrigerator or even an ice chest, and a few essential utensils for cooking and eating. Kitchen remodeling is both exciting and potentially nerve-wracking. You need to invest time, effort, and commitment to get it done, so be sure to cover all the bases before diving in. If you take your time, seek help from professionals, and consider the above tips, you should have little to no trouble getting the results you want.